The month of Tevet is the tenth month of the Hebrew calendar and its astrological sign is Capricorn. Capricorn could be considered to be a good month since Capricorn in Hebrew is גדי (Gedi), which contains the letters גד (Gad) which means, “good luck”. However, in reality, Capricorns do not rely on their good fortune and instead they believe only in their own hard work. Many of them have the tendency to be pessimists and develop anxieties until sometimes clinical care is needed. A clue to this problem is found in the story of the tribe of Gad, one of the twelve sons of Jacob the Patriarch. The Wisdom of Kabbalah teaches that the biblical twelve tribes of Israel represent the secrets of the twelve signs of the zodiac. The story of their birth, their naming and the history of each tribe describes the features of the zodiac signs themselves. The birth story of the tribe of Gad in Genesis, tells us that when Gad was born, Leah (Jacob’s wife), called him Ba-Gad (בא-גד which means, the luck has arrived, because Jacob had another son). However, in the biblical text the letter א – Alef, that symbolizes the Creator’s Light is missing, and it is written בגד (meaning, betrayal). This lack of Divine Light, is the reason why people of the sign of Capricorn are constantly looking for this lost א- Alef, lost Light, and this is why they feel lack and anxiety so often. This is why they are constantly in search of what they’ve lost or they feel that something is missing. They always feel that Luck is going to betray/fail them. They are waiting for the, “other shoe to drop”, they can’t believe it when things are going great. A pattern emerges whereby Capricorns build something and suddenly lose it all, therefore the need to rebuild from the beginning. This self fulfilling prophecy that something is going to go wrong sets them up for failure and reinforces their belief system that they cannot rely on luck, only on their own hard work, hence their industrious nature. Capricorn, which belongs to the Earth element, is also the first of the winter months. As we mentioned in previous articles, each season symbolizes a different letter in the creator’s name יהו”ה , the Tetragrammaton. The last ה – Hei, symbolizes the winter, which is the last season of the year. This ה – Hei represents our limited physical world and the constant hunger to receive. Capricorns have a huge desire/hunger for material security, the Aquarian hungers for knowledge and communication and Pisces hungers for warmth and details. Earth signs are considered very practical and this partially explains why Capricorns are “dry”, well organized and realistic (they can be found often working in management and accounting). This is why it is said that Capricorns are born “old”, and also because they have tough childhoods and experience great crises, they feel that they never had a childhood. This contributes greatly to them growing into strong, hard, resilient and realistic adults. The planet that controls Capricorn is Saturn. 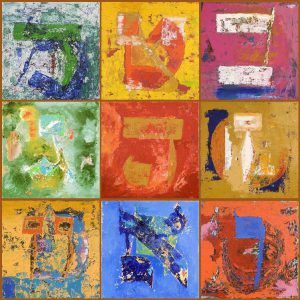 Sefer Yetsira (The Book of Formation) – attributed to Abraham the Patriarch – tells us that the 22 Hebrew letters of the alphabet are the building blocks of the Universe. These letters represent the spiritual frequencies which created our Universe. 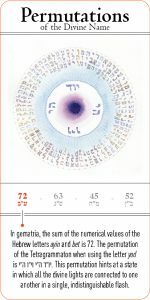 Sefer Yetsira teaches us that these 22 frequencies, represented by the 22 Hebrew letters, are the tools used for transferring spiritual abundance. According to Kabbalah and Sefer Yetsira each month is ruled by two Hebrew letters. One letter rules the planet that dominates the sign. The other letter rules the astrological sign of the month. Tevet’s planet is Saturn and it is ruled by the letter ב (Bet). Its astrological sign is Capricorn, which is ruled by the letter ע (Ain). A well-known Midrash tells us that when the Creator wanted to create the Universe each and every Hebrew letters came to him and pleaded him to use her, to create the world. Eventually the letter ב – Bet was chosen since it is a letter of blessing (ברכה). If we examine the structure of the letter ב – Bet it has a bottom line which symbolizes the earth. The upper line, symbolizes the sky, and the vertical line connecting them together, symbolizes the connection between the two forces of earth and sky. This connection between earth and sky is where the power of blessings emanates. The letter ב – Bet also faces forward and is closed from behind and that teaches us that if we desire the blessings in our life we should always look forward. If so, then why did we say before that Capricorns are pessimistic and only rely on their own hard work? The RABaD (Rabi Abraham Ben David of Posquières) explains that the power of Saturn comes from the fact that it is a planet of destruction. This is because it is not interested nor does it care about the body’s physical needs, therefore it destroys it. Saturn is not connected to physicality and this consciousness poses the question, “why do we fear letting go of the material?”. It forces us to reconnect with the spiritual and to understand that success doesn’t come from physical things and that’s why its job is to destroy, to destroy our dependence on the material in order for us to wake up and realize that fulfillment, satisfaction and real confidence can never be taken from us. Saturn, “the Great Teacher”, teaches us that the spiritual and mental skills we’ve acquired throughout life are our truest assets. Only they can provide us the true sense of joy, happiness and confidence. Since infancy, the Capricorn has learned the hard way, that spirituality, practical sense, goodness and sharing are the only true things that matters. Hence it is also known that as Capricorns age, they become younger, as finally in their adulthood they manage to learn the secret of life; that spirituality is where it’s at. They begin to truly enjoy their life, in their later years. When the Capricorn understands that his true wealth is his practical sense, spirituality, wealth, compassion and sharing, he diverts his diligence, devotion, calculated nature and ambitiousness in this direction and then nothing can stop him. We mentioned before that the Hebrew letter that controls the Capricorn, according to Sefer Yetsira, is ע (Ain( that together with ב make, ע”ב which symbolizes the Sefira of Hokhma and its enormous intensity. Capricorns have the ability to hold this intensity, to desire and to work for it. That is why Capricorns have the highest chance to enjoy spirituality, wealth, joy and true certainty. When Tevet starts we are all influenced by Capricorn and that is why it is a great opportunity for us to learn, to see our lives as a spiritual project. It is the perfect time to make a list of all the spiritual assets we’ve accumulated over the years. This will give us a good indication to what we want from life, and to motivate us to keep striving to be like the Capricorn; to enjoy spirituality, wealth, joy and true certainty.